Macron was seen winning the presidency by beating Le Pen in the May 7 runoff with 65 percent of the vote. 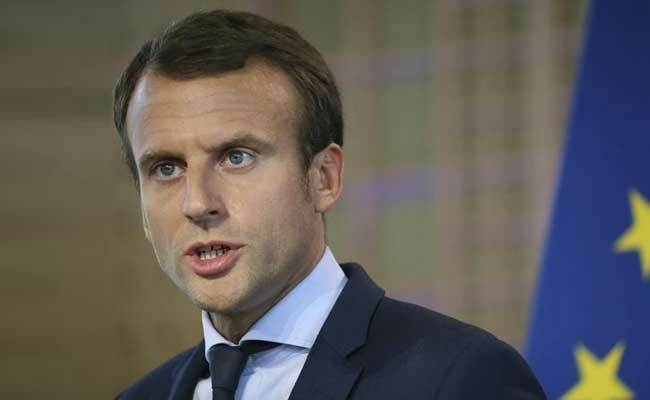 Paris: Centrist Emmanuel Macron is projected to come out on top in the first round of France's presidential election next month ahead of far-right leader Marine Le Pen before going on to win in a runoff, a Harris Interactive poll showed on Thursday. Macron was seen winning 26 percent of the vote in the April 23 first round followed by Le Pen on 25 percent, according to the poll for France Televisions. Both scores were unchanged from the last time the poll was carried out two weeks ago, even though it was carried out after the two traded barbs in a televised debate on Monday involving all the main candidates. Conservative candidate Francois Fillon saw his score slip to 18 percent of the first round vote from 20 percent as he struggles to limit the damage from a series of financial scandals. Meanwhile, far-left candidate Jean-Luc Melenchon saw his share of the vote rise to 13.5 percent, surpassing for the first time the score for the ruling Socialists candidate Benoit Hamon at 12.5 percent. Macron was seen winning the presidency by beating Le Pen in the May 7 runoff with 65 percent of the vote to 35 percent for the National Front leader, unchanged from two weeks ago. The poll was conducted on March 21-22 among 6,383 voters.